I am a member of the Collective Bias® Social Fabric® Community. 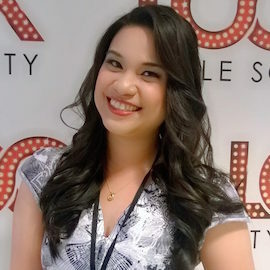 This post has been compensated as part of a social shopper insights study for Collective Bias and Smart and Final #ChooseSmart #SanJose #CBias #SocialFabric Thoughts are my own. I have some good news for those of you in San Jose! 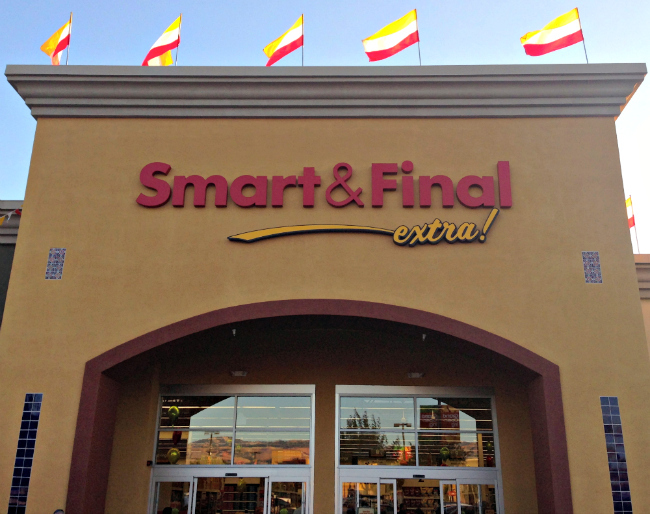 Smart and Final has just opened a new location at the Plaza de San Jose! This Smart and Final location is just 10 minutes away from my home! What’s great about this new location is that it’s a Smart and Final Extra store. This means that this branch offers extra low prices, extra assortments and selections, and extra services! 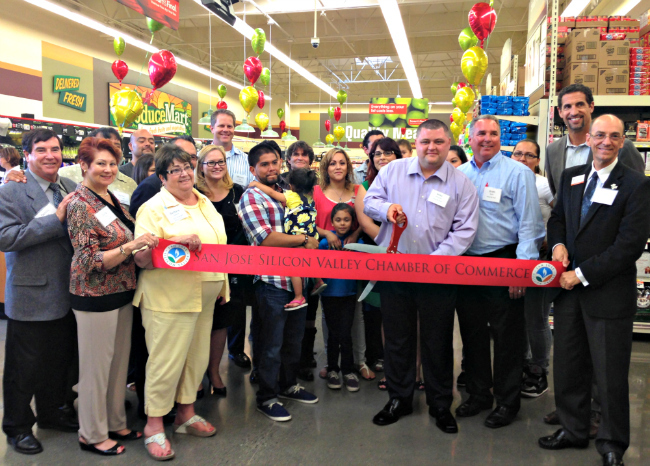 They have an extra large selection of produce, fresh meat, frozen foods, dairy, cereal, yogurt, bread and snacks. They also have sections for baby food and diapers and health and beauty. 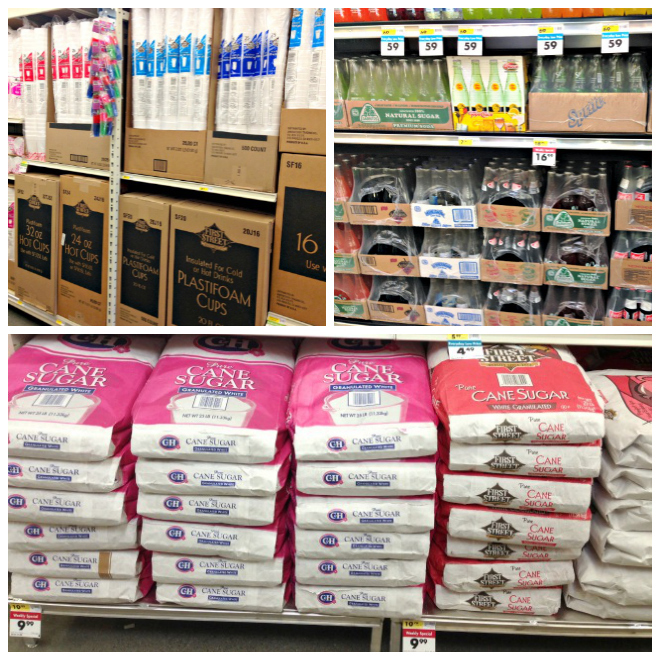 The store also has a large selection of “Club Pack” sized products for stocking-up your pantry! 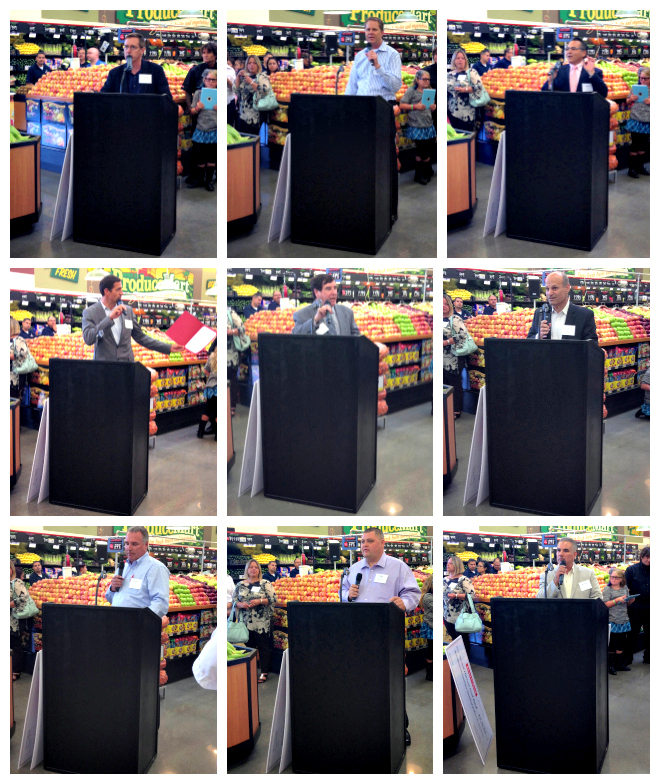 And last Tuesday August 27 — the evening before its first official day in business — Smart and Final had a special Grand Opening Preview Night with distinguished guests from the local business community, representatives from the local council, employees and people who made the whole endeavor possible. A plaque from the San Jose Silicon Valley Chamber of Commerce was given to Smart and Final. And Smart and Final handed their donation to MACSA, a non-profit organization for Mexican Americans. 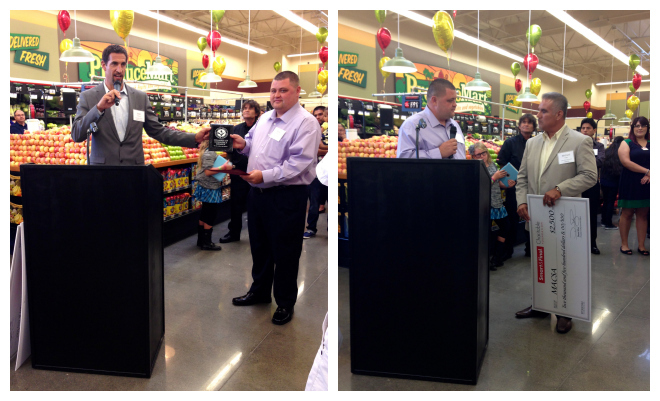 And there was the ceremonial ribbon-cutting (see clip here) led by Smart and Final San Jose Manager Mike Sorensen. That evening, I had the chance to take a good look at Smart and Final and what it offers its customers here in San Jose. I wanted to see why people should come and shop here. First thing I noticed was the huge Produce Mart area filled with farm fresh fruits and vegetables that were locally grown! I love it when stores offer locally sourced produce because that means it didn’t take them days to get the products to the store, and it means they’re supporting local farms and businesses. Need things in bulk? No worries! 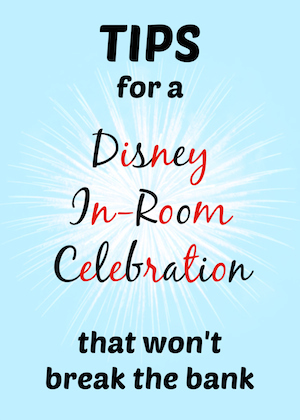 They have lots of items that are available in bulk quantities or “Club Pack” sizes! Whether it’s paper cups, soda, sugar, or even gum, Smart and Final has it so you can save more money and never run out of items in your pantry! And guess what! No membership is required for you to avail of their amazing prices! Yes! Just come is as you are, grab everything you need, and proceed to the cashier! Another good reason I loved what I saw at the Smart and Final Grand Opening Preview Night: they seem to really want to help you out! They do this by making sure you save as much money when you shop there, and by soliciting feedback so they can make sure you get a smooth shopping experience! What makes me say that? Here are the signboards I noticed on the aisles. There are actually a lot more but these 3 are what impressed me the most! Smart and Final Extra is open Mondays through Sundays from 6am to 10pm! If you’re in the San Jose area, I encourage you to drop by! You can find them at 1180 South King Road, San Jose, CA 95122 — just a few steps away from the intersection of King and Story Roads. Check out the Smart and Final Social Circular for updates on their prices as well as promotions they may currently have. And be sure to follow Smart and Final on Twitter and like Smart and Final‘s Facebook Page so you’ll never miss an update! Get $10 off your $50 purchase when you click on “Fan Coupon” on their Facebook page! That’s extra extra savings! We moved from Miami and don’t have a Smart & Final in our neighborhood! I love their stores! Oh that produce section looks amazing. Seems like quite a grand opening they had. How cool!!! That is by where we used to live. I am a huge Smart & Final fan and have shopped there since I was a kid! The store looks awesome! Im a hugh fan of S&F..I shop at their Oakland store all the time. Congrats on the store opening. Their produce section looks great!! I’ll have to see if I have one of the stores not far from me. 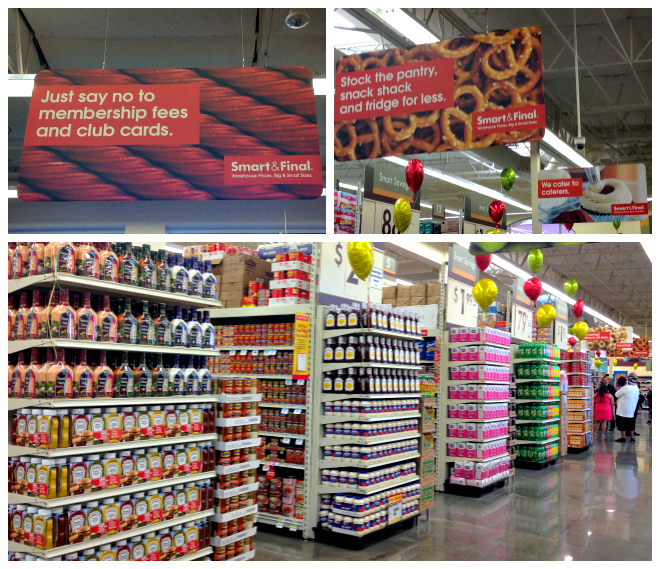 We love Smart & Final – no need to buy a membership and prices are great. This store isn’t in my area, but the produce looks amazing. This store was the first Smart & Final I had been in (I was there the day after you! ), and I’m really impressed with the prices and quality of the products. Also, the produce section was super amazing! Looks like a good alternative to do grocery shopping, with great prices and huge selection of products especially fresh produce. Icar! I miss you! 🙂 Yes it is! This is so close to our homes too! Cant wait to visit that one, looks really nice! Glad to know they are open now 🙂 we saw the sign when we’re picking up food from Wing Stop few weeks ago. 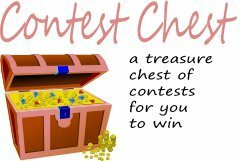 Reading your blog and looking at the pictures – their produce looks fresh, I like the competitive price they offer. We can’t wait to visit Smart and Final for our next grocery shopping (not to mention it’s so close to our house) Awesome! Thanks Bay Area Mommy! 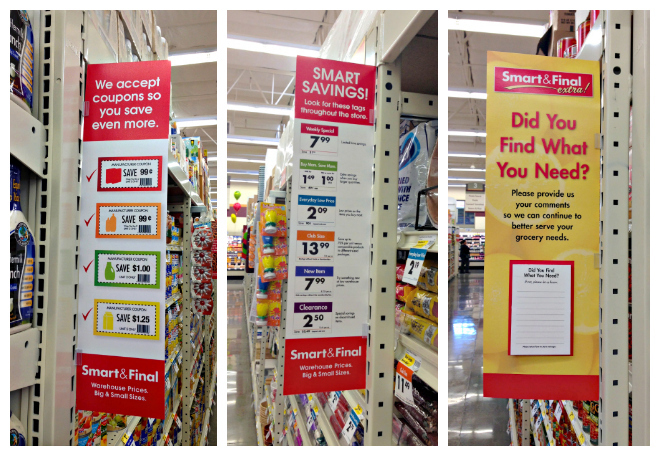 I’ve never heard of Smart & Final before, but I love the concept! Can’t wait until they come to our part of the country! 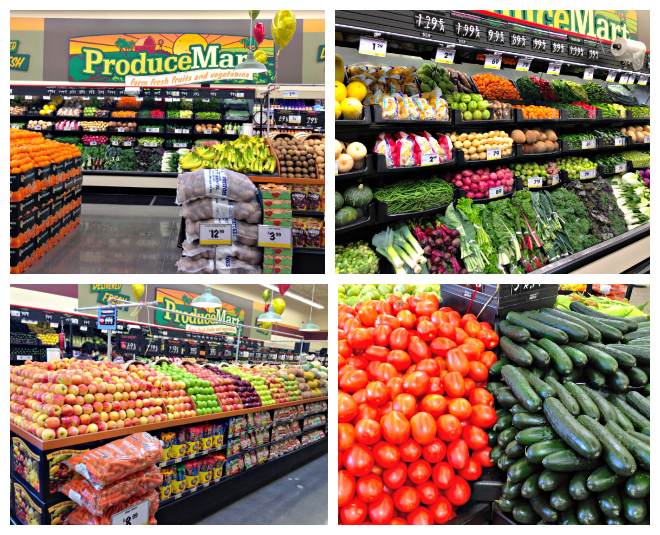 And their produce section looks awesome. I had never heard of this store but it sounds fascinating! I thought it would be comparable to a Big Lots, but it looks more grocery-oriented. I wish we had small stores like this in my area of FL. I love my Publix, but it’s nice to see little stores like these strive and still be able to help out consumers. I wished we had these stores in our area!!! This looks like such a neat store and what a great grand opening! Love that Smart & Final donates back to the community! All of the reasons you mentioned are the same reasons I love shopping at this store!